If you've been following me for awhile you know I hadn't actually worn any false lashes until a little while ago when I got some in my April My Glam bag. Those lashes were far too dramatic for me so I didn't keep them around. When I was at Target the other weekend tho I saw a nice display of Ardell lashes and thought what the heck I'll give them a try. 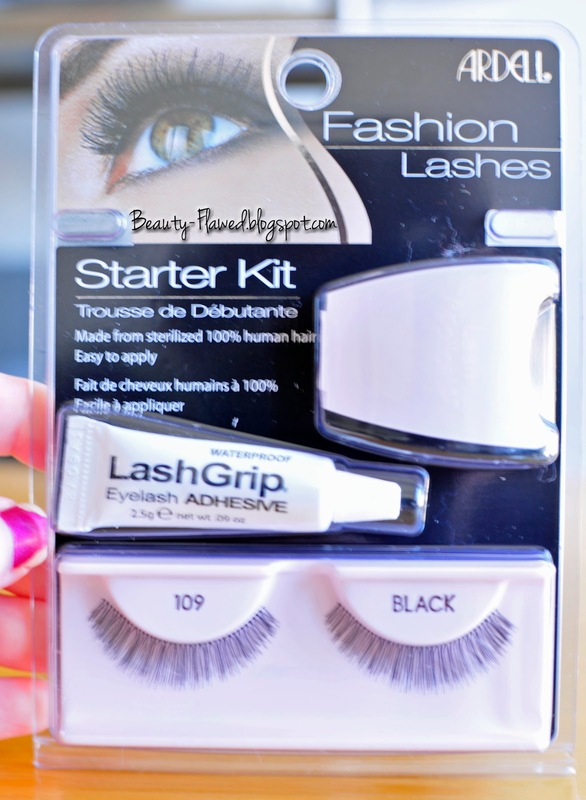 So I picked up this Starter Kit along with another pair and some Duo lash glue. You'll see my reviews on the Duo and 2nd pair in the next few weeks. The main things I used out of this kit was the lashes (obviously) and the lash clip.?. I'm not sure what the technical term for that is.. Anyway it took quite a few tries to get these right but I did it sorta. What I should have done before giving this a try is watch some YouTube videos on how to do this without taking forever but I didn't so it took forever. I'm ready for next time tho since I've figured out what I was doing wrong. I like these much better than I did the All-Belle Princes Leah lashes these are much more my style. They blended very easily with my natural lashes and they actually fit in my eyelash curler! I do think I need to work on cutting them. The first time I put them on I really misjudged how much I needed to cut off and they were quite big! In the end I don't think I really needed the starter kit since I bought different glue and while I like the little clip thing I think I'd like to get used to just using my fingers to get them on to make things go quicker. I was wearing these in my OOTD with Anjolee Jewelry post but I picked the brightest time of the day to take those pictures apparently so I was Squinty Mc Squint in them sorry about that! My eyes really do not like the sun, hence why they look all red in this last picture. I wasn't doing any controversial I promise! I quite like the effect falsies give and I think I'll try to wear them a little more often. Also sad story about this pair of lashes I was going to take them off and sterilize them to wear another day but when I was taking them off one fell down my bathroom sink drain so there was no way I was going to wear it after that even if I cleaned it... lol The next pair I wear I hope to avoid doing that with. So for my lovely readers that are experienced with falsies do you have any suggestions for me about cutting them down, is it better to cut them shorter and work with it or get it just right? What do you all think of these do we like them? I love ardell 109s they look really natural. Well good thing you got the duo adhesive, the ardell is not so great. As far as cutting the lashes, you want to cut the lashes at the outer corners where the lash is normally the longest. I position them first on my lashes to see if they fit before gluing them on. Normally you only need to cut a teeny bit, if you cut too much it might look a little off. You could always cut the lash in half and apply them on the outer corners which is a lot easier to glue on. Thats good to know. I always hear people say Duo is the best so I was like well while I'm at it I might as well. I'll have to try that it sounds much easier! Great post hun. 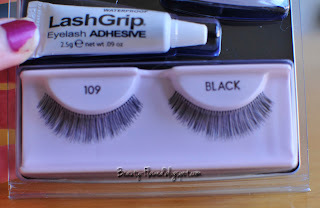 Ardell 109 lashes were one of the first lashes I started to use when I first wearing false lashes. You look great with lashes on. Aww thank you! Good to know they are pretty popular then I was hoping I bought a good brand. 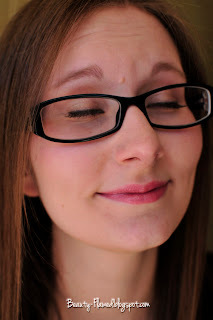 I've never used false lashes but you definitely can't tell that you are wearing any! Thanks I really like the more natural ones. The over the top pair I had just wasn't my style. These look very natural Ashley! I had falsies applied once, and you see it in my profile pic on my blog, it was done by a make-up artist. I can insert contacts but somehow....I don't have the guts to try the false eyelash application. I am going to try! Funny thing I used to wear contacts and I would pop them in so quick. When I get close to my eye with the lashes I blink like crazy for a bit lol Maybe I just need to pretned they are contacts. Me too lol Hopefully soon I can do it without taking forever! I bought this same kit when I wanted to try wearing false lashes a couple year ago! I could not get the clip thing to work for me either! I love wearing lashes, they make me feel so confident! i love my fake lashes! 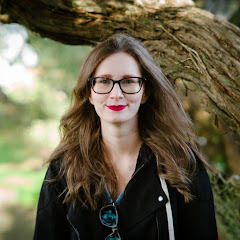 I'm currently having a giveaway on my blog if you're interested! Enter my Collistar + Club Manhattan GIVEAWAY!! If you find them, I totally recommend their Lash Accent line. I love #305- just the right amount of lash coming off the side, but without the hassle of a full strip! And way easier to apply, imo, hehe. I'll have to look and see who carries those I'd love to give them a try! Ouch! Sorry about that. False eyelashes are hard to wear and take off. You really need to be in a place away from water and air as much as possible, to be able to put those on. Well, you actually did a good job in putting on the eyelashes. Good job for a first timer! Be careful next time my friend. And by the way, you look really lovely with those lashes on.